The headline feature of the Liffey Bed is the four large storage drawers with angled faces concealed beneath the platform: A smart solution that allows the bed to keep a clean profile. 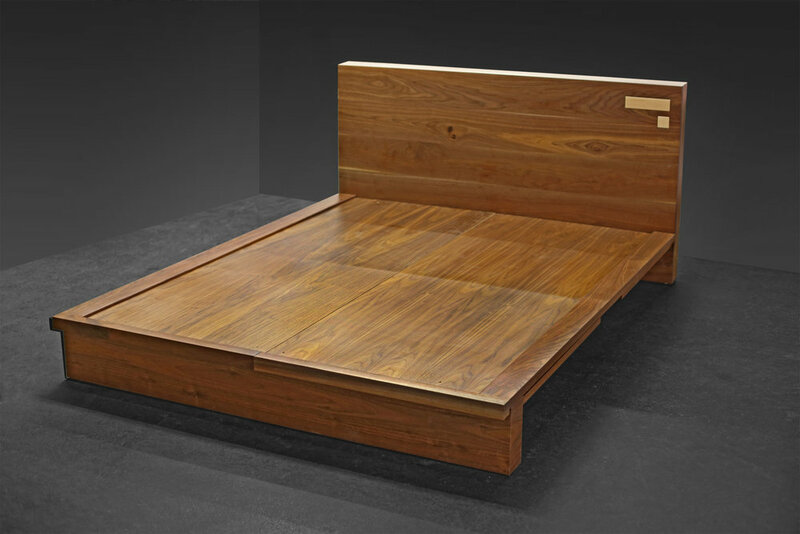 In addition, the Liffey Bed has a headboard using solid hardwoods (shown in American black walnut) accentuating the beauty of the natural grain. Adding an extra artistic flourish to the headboard are two optional small maple pop-out boxes to keep jewelry and other personal items hidden away. They close flush so that you might not even know they are there, unless you pop them out. Designed + manufactured in Brooklyn, NY. King dimensions 87.5"l x 85"w x 32"h.
Also available in full or other sizes. Dimensions available on request. Standard construction is American black walnut with maple accents: Other hardwoods including oak, cherry & maple available. 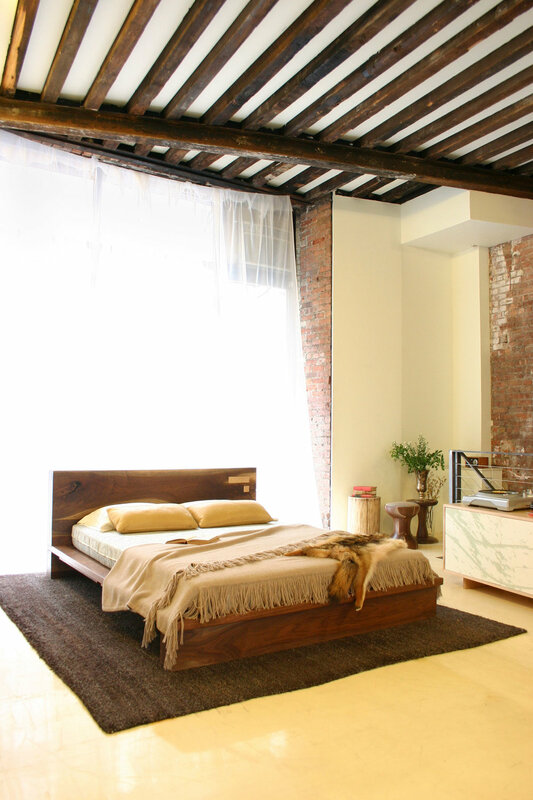 Our bespoke workshop location in Brooklyn makes it easy to tailor each bed for any project. 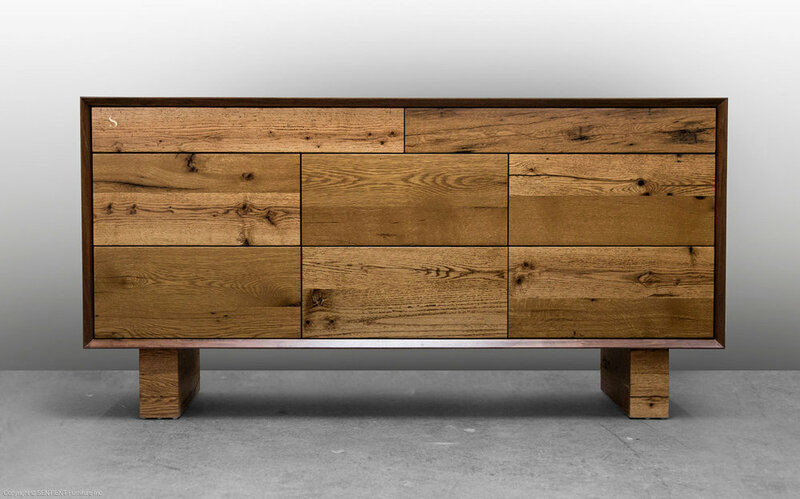 We have designed custom nightstands integrated into the headboard and that allow for clearance of the drawers below. 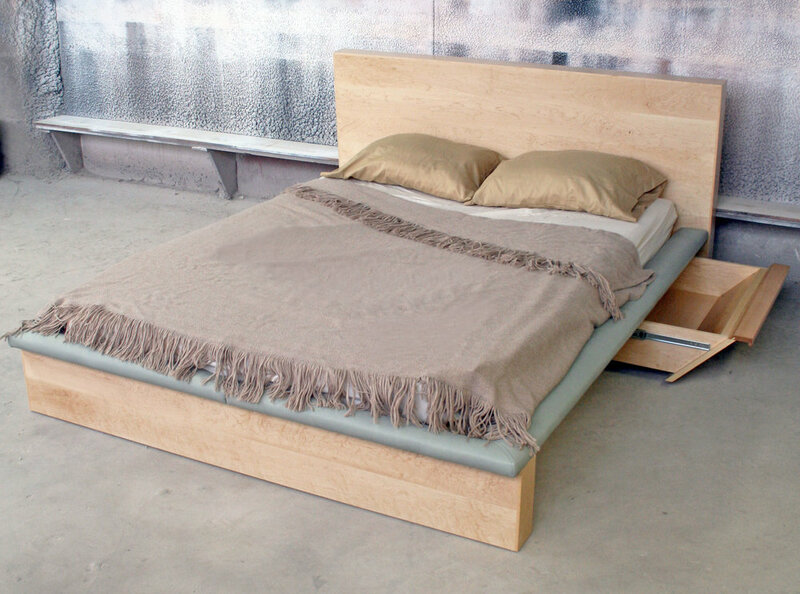 We can add upholstery to the headboard, footboard or side rails and can use other hardwoods for a unique look.